Halloween is coming up fast, and for those of us that live a paleo lifestyle, that means we have to decide what to hand out to all of those cute little ghouls and goblins that show up on our doorstep. As adorable as they are, the last thing they need is more sugar and junk food, so below is a list of candy-free ideas to keep your Halloween paleo friendly and fun! 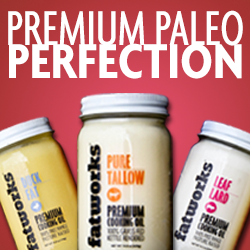 And you don't have to break the bank to hand out paleo friendly items this Halloween! Many of these can be found in bulk online or at party supply stores. Please leave any other ideas you have in the comments section below!!! What other ideas do you have?! Sharing is Caring! LOVE seeing your fabulous ideas! Thanks for that post!! We usually order things from Oriental Trading ever year and every year I love seeing how much the kids are happy to get something fun and different! Fabulous list! THANKS SO MUCH FOR ALL YOU DO!